Ben Bennett is a Philadelphia-based musician and performance artist known mostly for his improvised percussion and durational YouTube channels. Three Creex is a collection of videos made in 2014-15 in and around a farmhouse in Ohio where I lived for 4 years. The place was called Three Creeks after a nearby triple confluence. There was an abandoned, dilapidated Buddhist center down the road, where my housemates scavenged a small outbuilding, formerly a shrine, which they intended to make into an outhouse. I used the roof as a surface to scrape a goat hide, using a paleolithic flint scraping tool that was dug up in the field. One housemate let a goat graze in an abandoned lot down the road until it disappeared one day. Goats would escape and wander around the neighboring apartment complex. I tried to rescue an orphaned baby raccoon but it died. 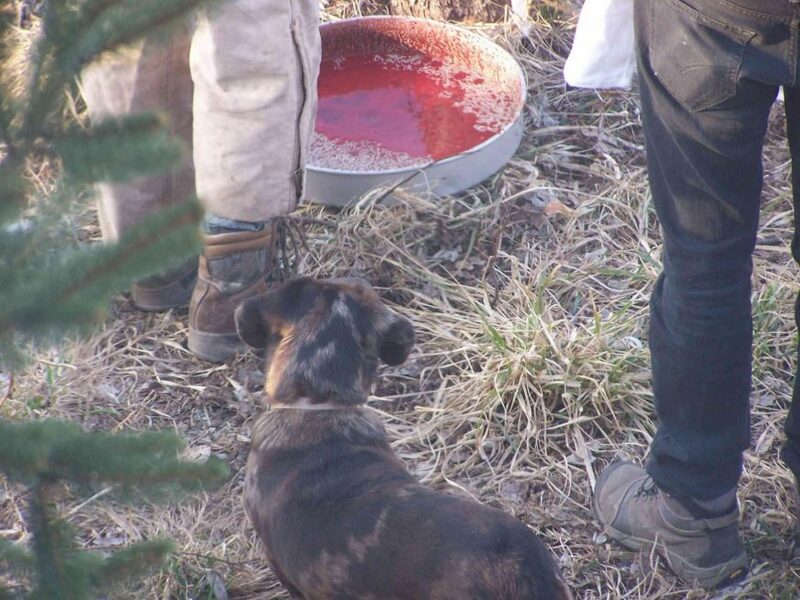 There is some footage in here of skinning and gutting some animals that were killed by traffic near the farm. Most of these videos I’ve never shared before.